Robbie has her hands full getting ready for the Maple Syrup Festival. Her helper is out injured and there's conflict with the recently hired helper, Turner. Sticky situation when the father, also a professor, is the main suspect and disappears. When he reappears, he is arrested. Robbie's interference leads to increased tension for Turner and his family. Mona steps in to help as best she can. 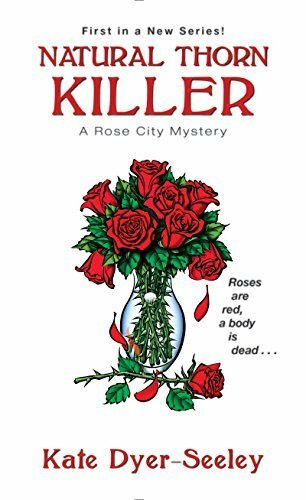 The mystery is solid and there are unexpected turns - the killer isn't obvious until the end. There are tensions in relationships and surprises there as well. I liked Robbie as a main character and she handles situations in ways that are realistic. I also liked Turner as he navigates who he is. 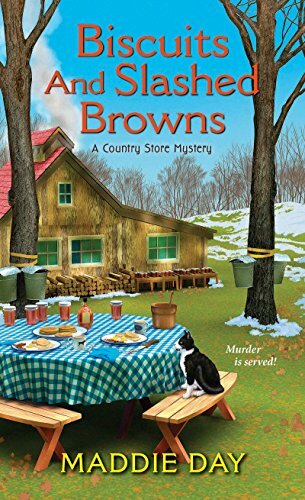 This is the fourth in the Country Store Mystery series, but it can easily be read as a stand-alone. 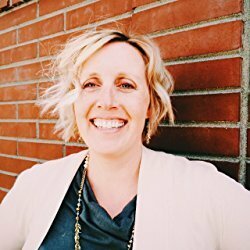 As Edith Maxwell, she writes the Local Foods Mysteries (Kensington Publishing) and the Quaker Midwife Mysteries (Midnight Ink). 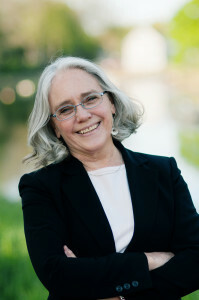 You can find all Maddie's/Edith's identities at www.edithmaxwell.com. 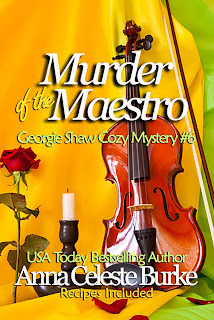 She blogs every weekday with the other Wicked Cozy Authors at wickedcozyauthors.com. Look for her as Edith M. Maxwell and Maddie Day on Facebook and @edithmaxwell and @maddiedayauthor on Twitter. Grab your copy! 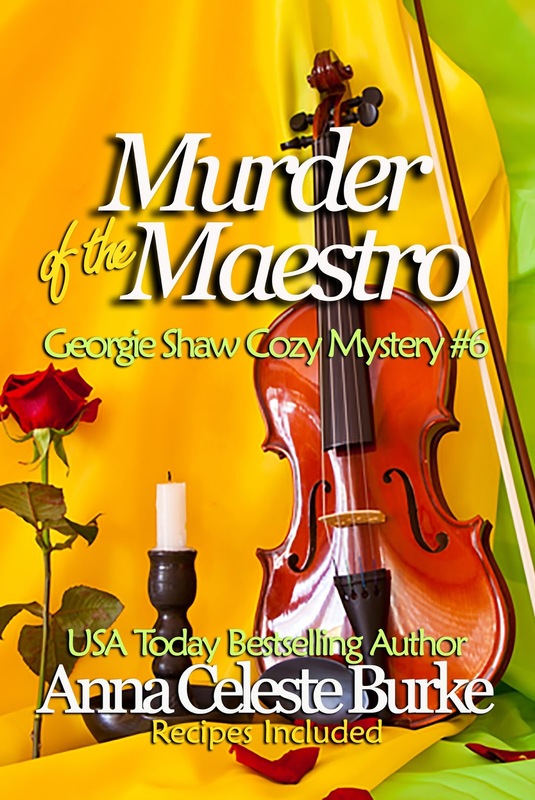 Join Georgie and Jack as they solve the Murder of the Maestro by USA Today bestselling author, Anna Celeste Burke. No one who’s visited Sedona, Arizona can forget it. Its local art, its jeep tours, its majestic beauty, its vortexes. My protagonist, Jade Blackwell, responds the same way when her old friend and colleague, Gwendolyn Hexby informs her she moved to Sedona to be close to the spiritual energy of the vortexes. You see, Gwendolyn is no longer a religious studies professor, as Jade supposes. Instead, she’s found a “higher calling” as a psychic medium. So, what the heck is a vortex? A vortex is a place where large amounts of energy spirals, enveloping everything nearby. It's believed these locations having an energy flow that exists on multiple dimensions, which is why so many seekers visit them each year. Many believe the vortexes intensify meditation, rituals, inner spiritual work, and healing. People flock to Sedona every year, not only to enjoy the beauty of the red rocks and vistas, but to soak up the transformational energy at the various vortexes in the area. Oh, yeah, and to go on a rugged jeep tour. 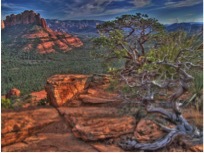 Sedona has long been a hub of New Age activity. And with four of the most powerful vortexes in the United States within the city limits, it’s not hard to understand why. There are fourteen more within a 10-mile radius of the city also. That’s some powerful spiritual mojo! Now, depending on who you ask, there are different theories about what causes this spiraling energy. And not just in Sedona, but also surrounding The Great Pyramids, Machu Picchu and Stonehenge. Here’s a very rudimentary scientific explanation: Vortexes all over the globe exist where there are robust concentrations of gravitational irregularities. Geologists believe the environmental features of Sedona, which transition from mountains to flatland, plays a part in creating the swirling energy centers. The plentiful faults full of magnetized basalt deposits found there are also believed to alter the earth’s gravitational field. Visitors of the vortexes in Sedona can witness the spiraling energy themselves, even if they don’t believe in any of the woo-woo theories surrounding them. The trees near the different vortexes have had their trunks twisted due to the constant swirling energy under them. Cool, huh? What better town for my psychic medium character to inhibit than Sedona? Gwendolyn, like many before her, felt the vortexes magical pull and was unable to resist. She also understands the old adage, “location, location, location.” More than four million people visit the small town every year, and many of them are looking for higher guidance and an enlightened spiritual journey. Sedona is a great place to be a medium! Her broad smile told me this experience had been the catalyst of her transformation even before she put it into words. Excerpt from MURDER OVER MEDIUM. Copyright © 2017. All rights reserved. You may ask, do I believe in the magic of the vortex energy? You bet I do! I've experienced it for myself. Totally amazing! But everyone has to experience it for themselves. 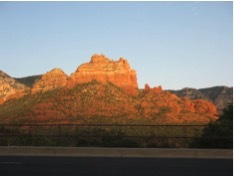 If you prefer, you can see the vortex energy as a geological anomaly that you enjoy—people report feeling joyful and at peace while in Sedona. Or, you can go all New Age and soak up the awesome vibe. Regardless, Sedona is a enchanted place everyone should visit. And while you’re there, don’t forget to get a reading with Gwendolyn! 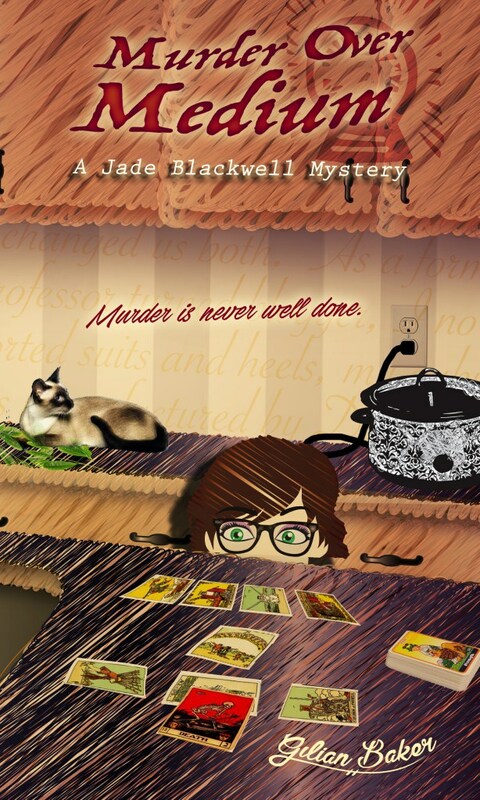 Return to the Jade Blackwell Cozy Mystery Series in Murder Over Medium as Jade jumps into the fray of a territory not governed by logic or reason—in either this world or the next. It's that time of the year once again - a time to reflect on the good and the not-so-good. 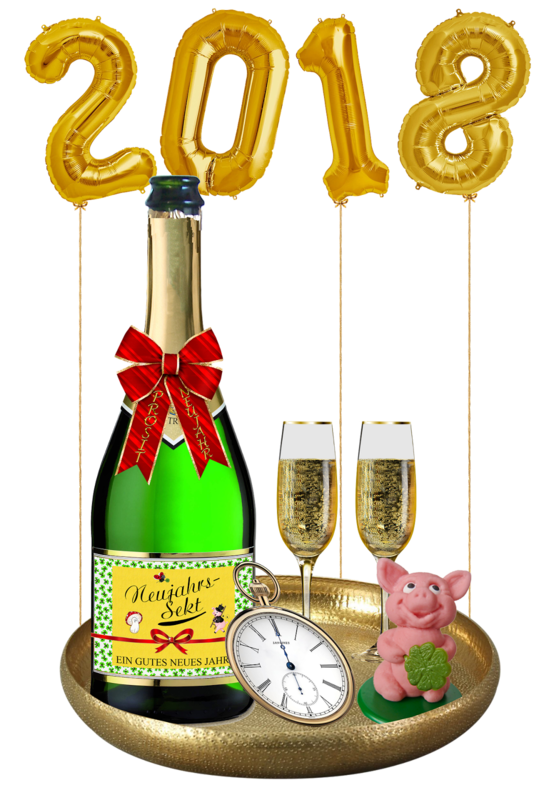 Overall, 2017 was a good year on all work levels - the day job and the writing. 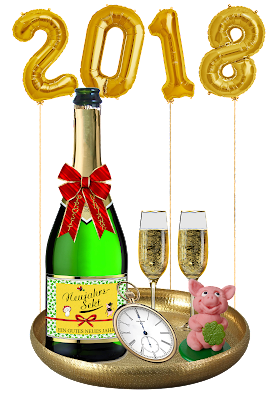 Lots of accomplishments for sure and hopefully more to come in 2018. As always, I can't avoid the tried and true - eat better, exercise more, lose weight... I'll add in there, take some time to relax. And since I'm behind, catching up the books I've read, but not yet reviewed. What about you? What will you be working on in 2018?